Home » Posts tagged "Technical audit checklist"
Technical Audit (TA) is a very crucial task of garments manufacturing. Every buyer (Customer) do a technical audit before placing an order to any garments factory. 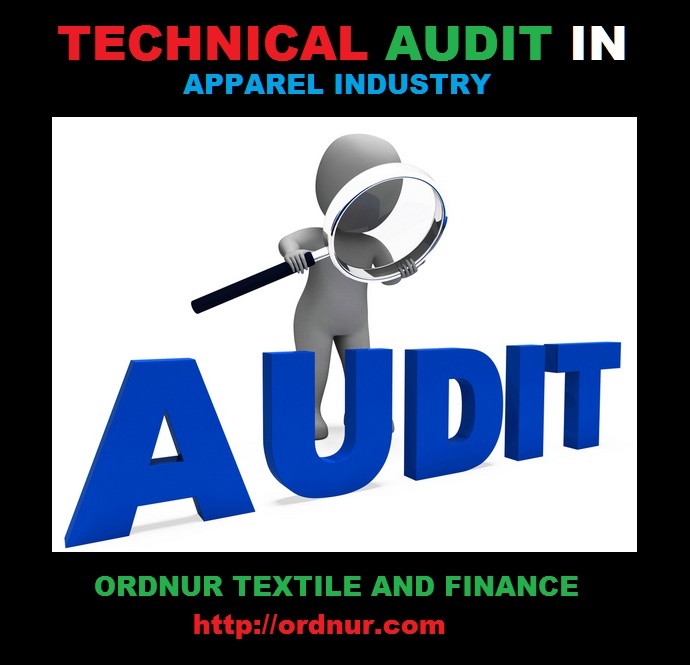 In this article, I am going to talk about what is a technical audit in the apparel industry and how we can use and for what purpose of technical audit fulfill. Many garments buyer have their own technical audit checklist, Audit must be done routine wise time to time. Through Technical Audit, auditors actually an assurance of ability to make export quality garments of garments maker. Technical audit checklist can vary buyer to buyer. Apply best practice in garments manufacturing. Ensuring effectiveness, efficiency, improvement and customer satisfaction. To get excellence & sustainable results in the long run of customer product quality and as a supplier. Performed by factory internal Auditor assigned by factory management. Internal auditor report for factory management, management evaluates the report and take corrective action. Here supplier has a scope of improvement as per customer quality and technical requirement by their own (internal) audit system. Performed by customer/ buyer own self, report to their supplier and ask for corrective action, available scoring or rating system to classify supplier. Customer audit is very important for the supplier. Third party audit is an external independent audit performed by a party hired or approved by the customer to verify their process standard and requirement. 3rd party is a contracted organization work on behalf of the customer, make a report or certify supplier for a certain period. Third party or supplier internal test report of all Trims and Accessories. Complain against the failed product to the supplier and replace, show documents. Checking garments for construction, seam quality, and overall garments appearance. Show the approved sample or customer provided data for attaching finishing sticker and folding. Available necessary for final Audit; approved sample, trim card, inspection table. End of an audit, auditing party make a report with their comments where requirement does not meet as per standard or customer requirement. Audit result by the scoring system by marks (Performance rate) or classify Good, alert and risk. The supplier takes corrective action as per 3rd party auditor or customer recommendation for their customer requirement. As per the audit checklist report by an auditor, a supplier has to fill up customer requirement by a certain time. Customer follows up the improvement of CAP in every week or month. If the number of CAP decrease after every month, supplier improving towards customer requirement. Anytime or after certain period buyer audit again.